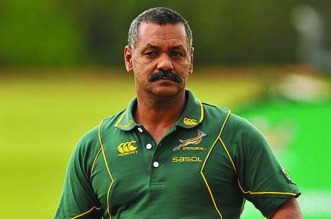 Cape TOWN — Zimbabwe coach Peter de Villiers has thanked fans for their messages of support over the past two weeks. After losing 45-36 to Kenya in a 2019 Rugby World Cup qualifier on June 30, Zimbabwe travelled to Tunisia, where their preparation was severely hampered. They encountered issues at passport control upon entry to the northern African country, before being forced to sleep on the streets due to their dissatisfaction with conditions at their hotel venue. Images surfaced on social media of the team lying and sleeping on the streets, although the Tunisia Rugby Union hit back at Zimbabwe’s decision to abandon their hotel venue. New accommodation was found, but Zimbabwe went on to lose 18-14 to Tunisia to leave their World Cup hopes hanging by a thread. De Villiers took to Twitter after the tour and insisted that they were ready for the Tunisia game, despite the disruptions. He also shared a video where he thanked Zimbabwean fans for their support of the team. “Thank you so much for all your support. We are really inspired and draw energy from it,” he said.